Many people choose to live in Costa Rica—a vibrant country full of friendly people and beautiful sights. It’s one of the more popular destinations for travelers from Canada, USA, and Mexico, but often after their first visit, people begin plotting how to take up residence in this beautiful country. There are about five major ways to gain residency, one of them being to purchase Costa Rican property. Many people may weigh the options between purchasing a property, or continuing on with a long term rental. It’s best to place things into perspective, and examine the benefits of buying versus renting. Simply renting a house, condominium or staying at a hotel is not going to gain you residency status in Costa Rica. You’ll need to qualify as a pensioner, investor, marry a Costa Rican, have a child who is born in Costa Rica, or be a company representative. To gain residency, it can be as simple as purchasing a house, or condominium. With residency status you’re going to be able to return to your property whenever you want, as long as you visit Costa Rica once a year. It may be expensive renting a property in Costa Rica, which you’ll need to continue paying for, should you decide to travel back and forth between the two countries. You also have the option of shuttling your belongings back and forth each time, but that can be cumbersome, plus there’s no guarantee that your favorite apartment will be waiting for you upon your return. 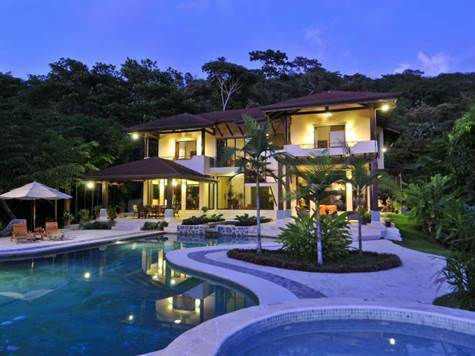 If you purchase a property, you have a permanent place to call home in Costa Rica. There will be no worries about where you’ll stay during your next visit—your home will be waiting. There is also the possibility of earning rental income through your property. This is allowed when you have achieved Costa Rican residency status, and are allowed to earn income through the rental of your property. You can have it managed by a property management company in your absence. They provide their services for a modest fee, which provides you with not only an income, but cleaning services, rental management, and peace of mind. You simply notify the management company on your chosen residency dates, and they’ll rent out your property around your plans. Owning a property means you can build up equity over time, which can be profitable should you decide to sell in the future. You may wish to upgrade to a better home, or to purchase two new homes, and only rent one of them out. Just like at home, you can either buy a property outright, or choose to have a mortgage where you make monthly or biweekly payments to pay it off. While financing would be similar to rental payments, you’re actually investing in your own home, rather than giving it to a landlord. 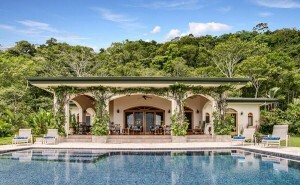 If you are considering purchasing a Costa Rican property, please contact us today. It can be a life-altering decision to move to a new country, and we can help to make that transition easier.